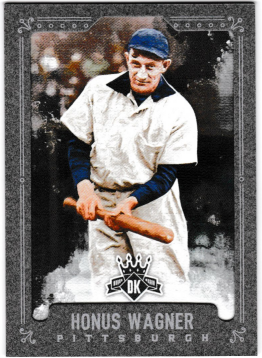 First new Diamond Kings of the year. I did much better in the first box than I did in the second box in finishing off my Twins checklist. 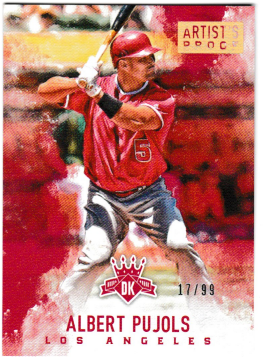 The set breakdown – 1-100 are base cards, 101-125 are base SPs, and 126-175 are rookies. Why 175? Who knows… #ThanksPanini. 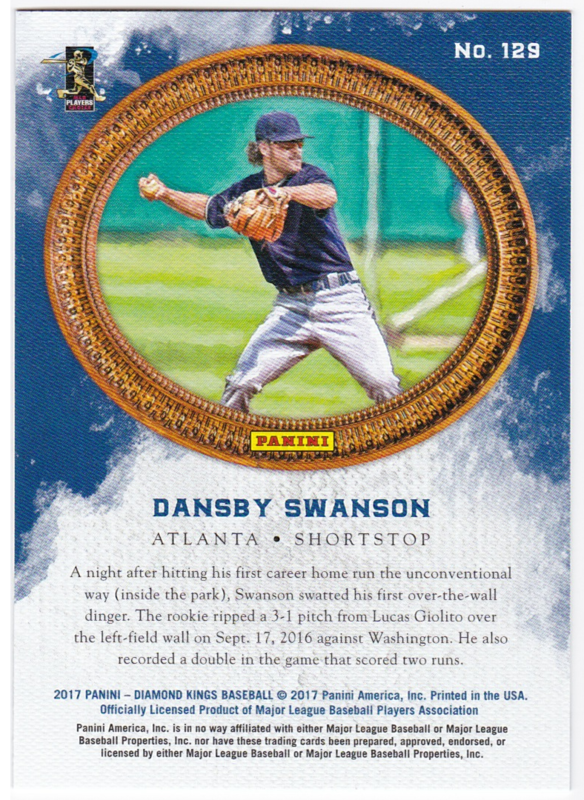 The Twins/Senators have three base cards – (includes Kirby Puckett, Goose Goslin, and Brian Dozier) one base SP(Miguel Sano), and one rookie(Adalberto Mejia). In addition, there’s a Kirby Puckett image variation – powder blues vs. pinstripes. After the first box, I pulled all three base cards, the Miguel Sano SP, but did not pull the Adalberto Mejia rookie. As well, I knocked out the variation short-print. 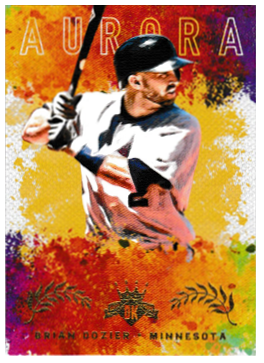 For inserts, the Twins have one in each set – Aurora(Brian Dozier), DK Originals(Paul Molitor), Heritage Collection(Kirby Puckett), and Memorable Moment(Kirby Puckett). 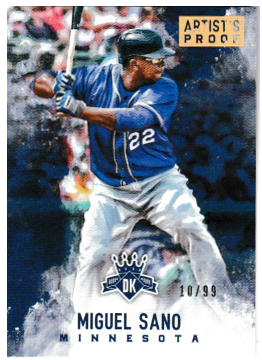 This box had the Aurora insert, and a Miguel Sano base Artist’s Proof – #10/99! Not a bad box! One rookie and three inserts remain! No really, thanks Panini. 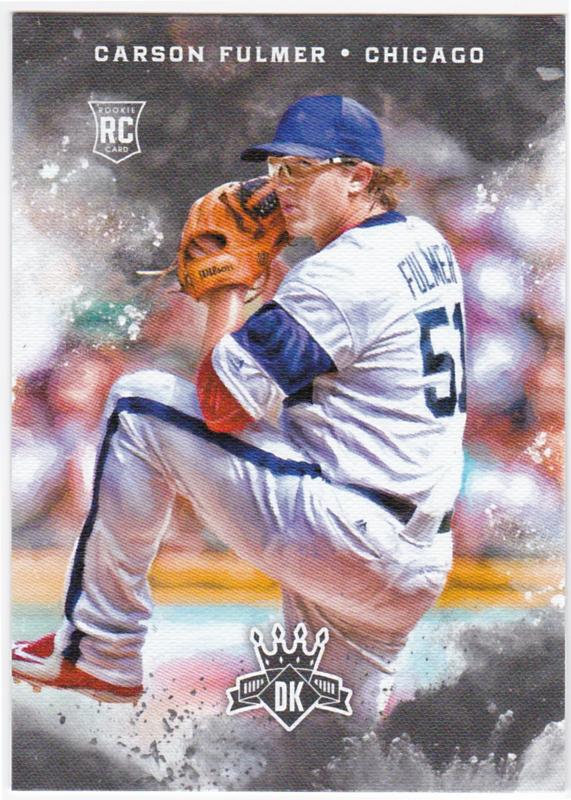 I didn’t pull any base duplicates in box one, and in the rookie subset I didn’t pull any duplicates either – outside of the short-printed Carson Fulmer, Yoan Moncada, and Dansby Swanson. 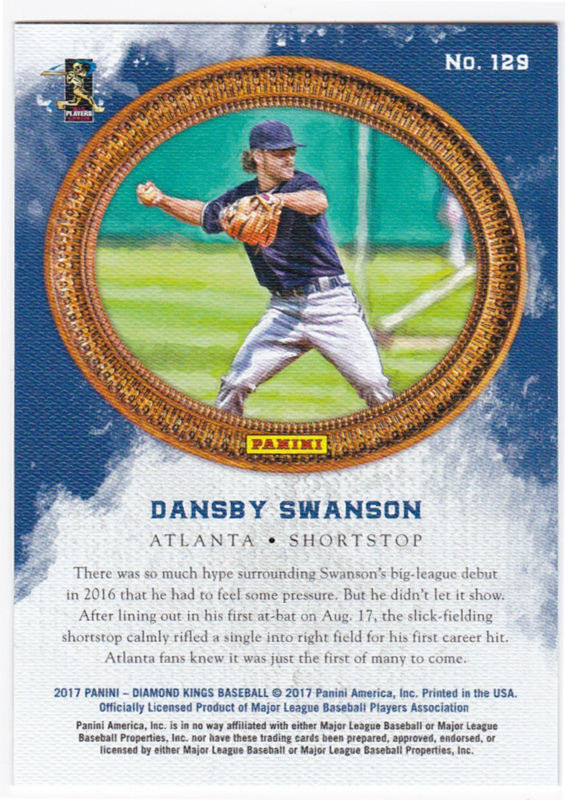 I love how Panini makes the short-printed cards very obvious – with obvious image variations and the backs have different designs(rookie design vs. base design) with the exception of a few rookie card ranged SPs where you’ve gotta rely on the images – or in the case of Atlanta’s Dansby Swanson what text is on the back. 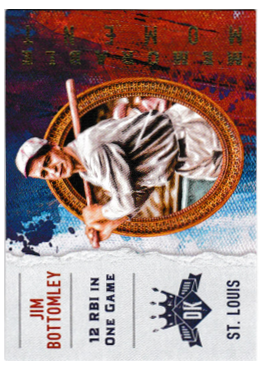 I mentioned and displayed the Kirby Puckett above, but I also got the SPs for Pee Wee Reese, Ernie Banks, Stan Musial, Yoan Moncada, Carson Fulmer, and another Artist’s Proof – Albert Pujols #17/99. A huge improvement of 2015’s two SPs per box. 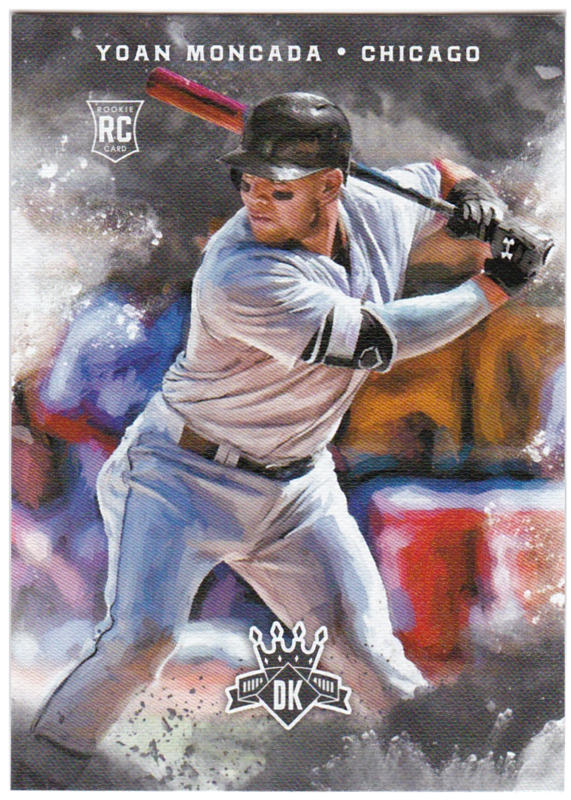 I believe these were reverse flipped in the packs as well. For what it’s worth, the short-print is the version on the right. Compare the bio text. :). In this box I pulled a good bit of inserts. 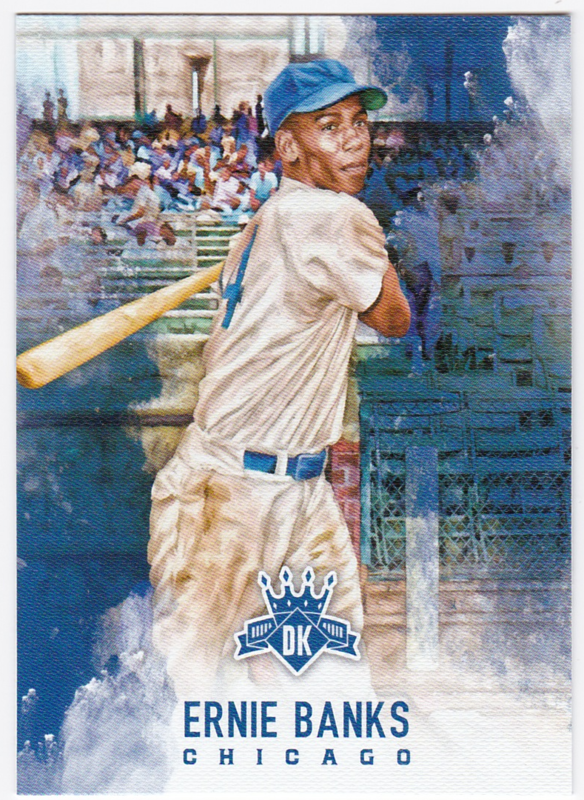 There are four base inserts mentioned previously – DK Originals, Heritage Collection, Memorable Moments, and Aurora. First off, I love the addition of Aurora! 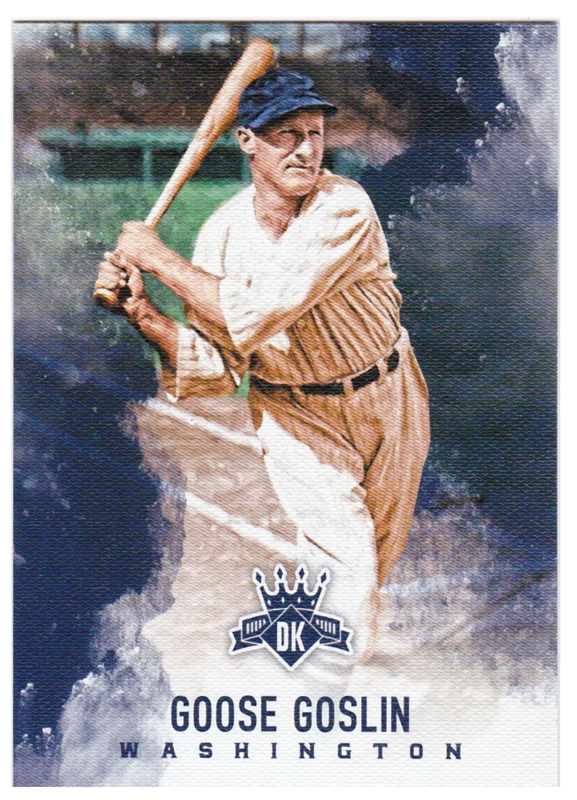 Bright, shiny, and distinct from the other inserts – I pulled four. 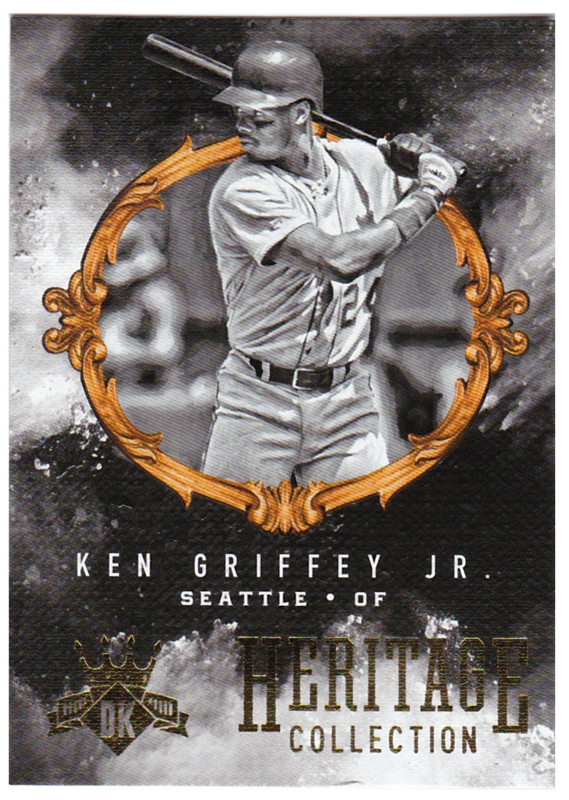 Heritage Collection looks at players time with franchises, and details some of their key stats. I lucked out with five – Al Kaline, Carlton Fisk, Joe Morgan, the above Ken Griffey Jr., and Willie McCovey. 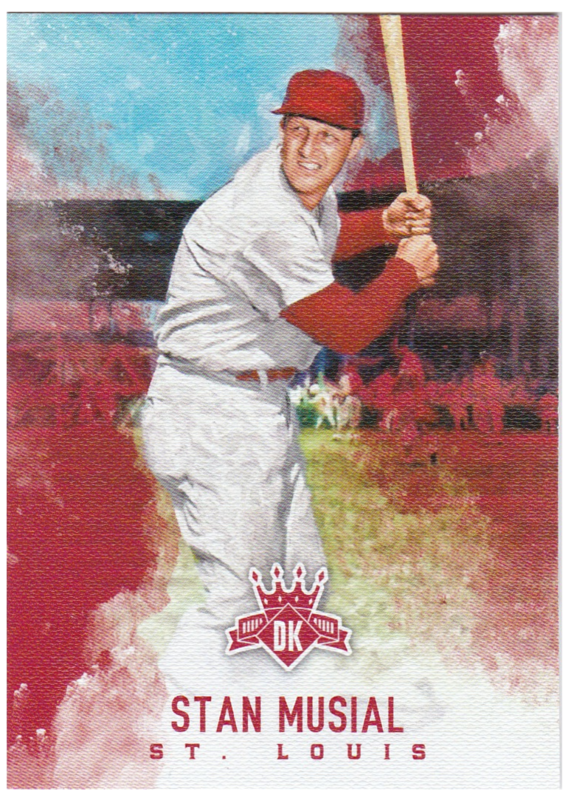 Another carry-over set from previous Diamond Kings sets, DK Originals pairs a batting/pitching pose with more of a glamour shot. 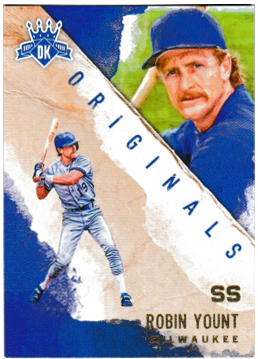 I pulled four – Jim Palmer, Ozzie Smith, Pedro Martinez, and the featured Robin Yount. 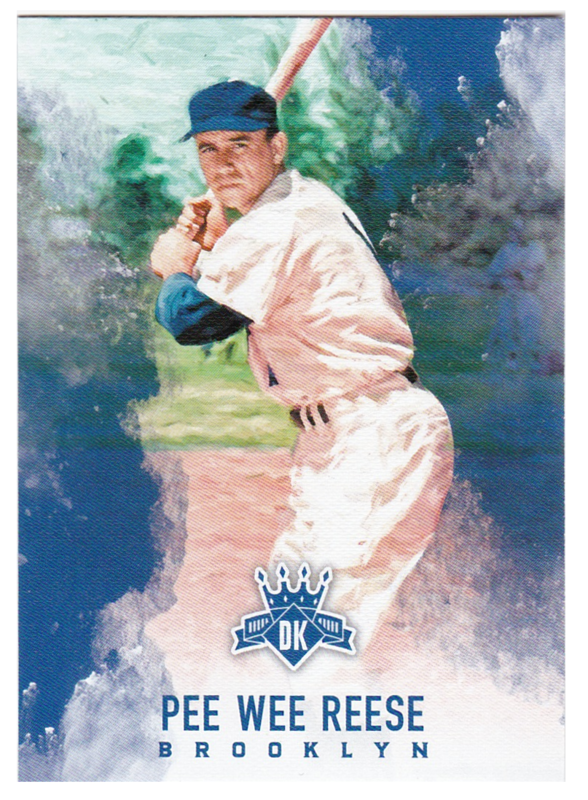 For whatever reason, these Memorable Moments were a rarer pull – having only pulled two – Jim Bottomley, and Grover Alexander. 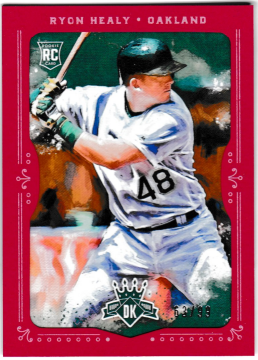 I got six parallels including a numbered version of rookie Ryon Healy #63/99. The rest were kinda okay at the based balls, and some at the top of their game. Grover Alexander, Honus Wagner, Harry Walker, Clayton Kershaw, and Orlando Arcia. They can’t all be winners and this box is a prime example. 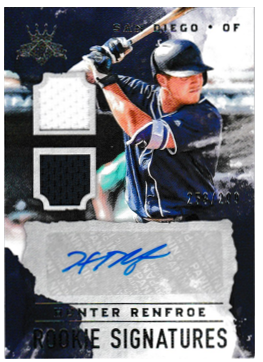 The first hit I pulled was a #253/299 double relic auto ‘Rookie Signatures’ Hunter Renfroe. 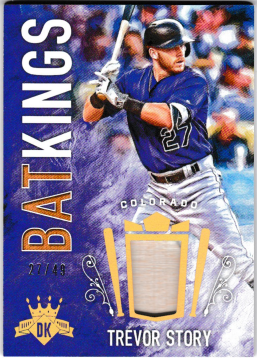 The second hit – a redesigned Bat Kings was a #27/49 Trevor Story single bat relic. If only they were switched! ← March 5th Adat Chaverim show.